Time to continue venturing into the Cult Horror Collection. 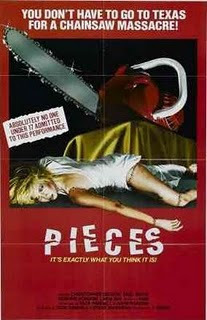 Tonight’s entry was the chainsaw massacre flick,Pieces. Plot / While playing with a puzzle, a teenager is tormented by his mother and cracks, killing her by severing body with an ax. Forty years later, in a university campus in Boston, a serial killer kills young women and severs their bodies in parts, stealing body pieces from each student. Lt. Bracken makes a deal with the dean of the campus, and infiltrates the agent Mary Riggs as if she was a tennis teacher and together with the student Kendall, they try to find the identity of the killer. OK, so it took me a few days to get to this because I am being driven insane by my four daughters (summer vacation cannot end soon enough). Somehow, their bedtimes have gone away since the oldest has come to visit and they seem to be staying up way past MY bedtime... But, here goes! 1: Random ramblings about the movies that shape who I am. 3: Sue Snell would be a perfect date (and a lot better than my real one). 4: The first-person Zombie Epic that I am currently writing (samples can be found on my writing blog As My Tears Run Red). I would love to be in control to ensure that the director would have and understand my vision. 5: Nightmare on Elm Street. I loved the first one, but after that, they definitely seemed to drift farther from the greatness that was established with the first installment. 6: Not sure if he is the Antichrist, but could definitely be part of the conversation. Time to continue venturing into the Cult Horror Collection. 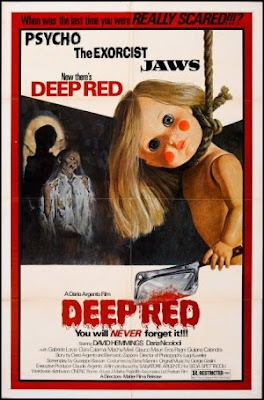 Tonight’s entry was the Dario Argento classic Deep Red (Profondo Rosso). This is an important film in my life, and honestly, it is on a very short list of movies that helped shape my love of all things horror. Plot / A psychic who can read minds picks up the thoughts of a murderer in the audience and soon becomes a victim. An English pianist gets involved in solving the murders, but finds many of his avenues of inquiry cut off by new murders, and he begins to wonder how the murderer can track his movements so closely. Time to continue venturing into the Cult Horror Collection set. 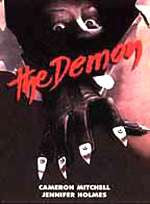 Recognizing the titles, I felt like I would try to get the snoozers out of the way by viewing Cameron Mitchell’s The Demon from 1979 tonight. While I know that this low budget entry will not live up to some of the others from the set, I must be fair and give it equal time. Plot / A psychopath is on the loose and an ex-U.S. Marine psychic, Colonel Bill Carson, is brought in to track the psycho and try and find out what happened to their Daughter. After some debate with the voices in my head, I decided to finish disc 1 of Cult Horror Collection. The last movie on that disc is Memorial Valley Massacre from 1988. Unfortunately, this is one film I had never seen (or heard of) before and having spent most of the 1980s knee deep in slasher’s I am not expecting much. 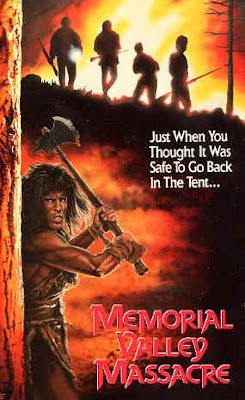 Plot / With the Memorial Day holiday quickly approaching, a campground struggles with its polluted water, unsafe roads, old equipment, and a criminally insane hermit who comes out of isolation in order to murder every last campground visitor. After a rough day on the fishing charter it was nice to settle back into my comfort zone. Time to continue with Cult Horror Collection. 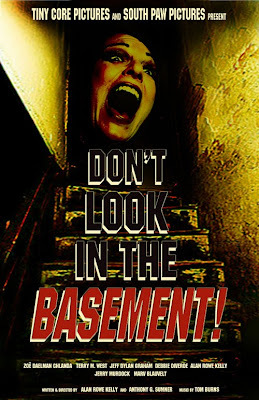 Tonight’s entry is Don’t Look in the Basement (AKA The Forgotten from 1973). Plot / Dr. Stephens runs a secluded sanitarium with a small group of mental patients, one of whom uses the ax that was supposed to be for therapeutic wood-chopping to cut down Dr. Stephens. Now, Dr. Masters is running the asylum alone with her brand-new nurse, who does her best to befriend the eclectic group of patients. The pretty young nurse was eager to work with the forward-thinking Dr. Stephens, but finds his successor to be less than welcoming and the hospital to be less than wholesome. The Ringmaster's Realm would like to thank Freddie Young from the great Full Moon Reviews for bestowing the Versatile Blog Award to The Ringmaster's Realm. 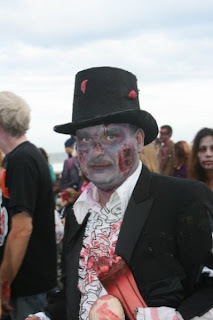 Since I began blogging, I have tred to offer a variety of reviews on the movies that made me a lifelong horror fan, as well as sharing some of the interesting finds and places that I visit on my travels. Thanks again Freddie, support like this is awesome! 1. 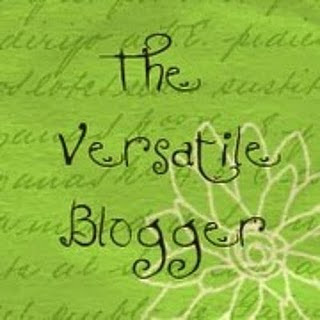 I am a writer with two books published. One is a poetry book Walking Before Dawn and the other is a beginners guide to Cryptozoology, Searching the Abyss. 2. I am a huge 1980s New Wave fan and often go days without hearing anything modern on my Ipod. Now that I have finished the Gorehouse Greats Collection it is time for me to move on to my next collection of films, Cult Horror Collection. 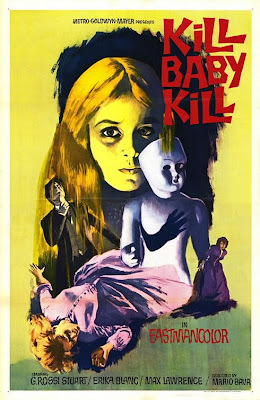 The first flick I chose was the 1966 Mario Bava gem Kill Baby Kill. Plot / Dr. Eswai is called by Inspector Kruger to a small village to perform an autopsy on a woman who has died under suspicious circumstances. Despite help from Ruth, the village witch, Kruger is killed and it is revealed that the ghost of Melissa, a young girl who, fed by the hatred of her grieving mother, Baroness Graps, exacts her revenge on them, has killed the dead woman, as well as other villagers. Dr. Eswai, along with Monica, a local nurse, is lured into a fateful confrontation at the Villa Graps. That’s it, I finished the Gorehouse Greats Collection now that I made it though Stanley. What a day to do it, with the Sci Fi Channel running a marathon of similar modern fare with the likes of Vipers and Hydra. Hell, even Showtime chipped in with Cobra vs. Komodo! Plot / Returning to a life of racial bigotry after two years of killing in Vietnam, Seminole Indian Tim needs alot of help. The only love and affection he is now capable of expressing is to venomous snakes. TimÂs fellow human beings respect his serpentine expertise; his affection for snakes is another story. 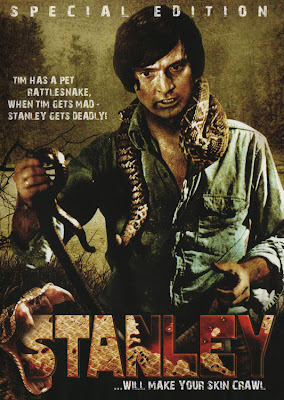 Tim finds others hate, if not misunderstanding, Stanley and his snake friends. If his friends are killed or mistreated, Tim dishes out cruel punishment to the human transgressors. Snakes are his tool for revenge. Snakes, however, are fickle creatures and the final venomous showdown takes place deep within the swamp between the two friends.